Marketing is a big part of the success of any business. It’s a bit of a gamble to market though. You have to play your cards right and hope for the best outcome. You can therefore learn a thing or two about marketing from literal gambling. 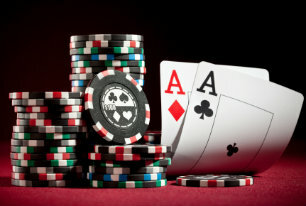 Here are five different marketing lessons you can learn from casinos. With gambling they use chips to make people feel more comfortable. When people gamble with money they aren’t always keen on gambling as much. Buying chips makes people feel more comfortable about gambling more. You can use this system with your business by offering credit or points to acquire with the purchase of a service. At some point the customer can accumulate enough points or credit to purchase a different service from your business. When you join a casino game, you often are given some type of upfront bonus. In many economics classes they teach people that consumers respond well to incentives like an upfront bonus for a casino. You can easily offer some kind of incentives with your business to draw in more consumers to make purchases from your business. Controlling the customer experience is completely within the power of a casino. They make sure the casino has limited windows and exits so the gamer loses track of time and will play longer. You can do the same thing with your business. Offer certain special features only at your business that will improve and control the customer experience. Businesses lose a lot of business when they do not offer the type of payment method that consumers have. You should ensure that your business offers as many payment options possible. You can have certain types of credit cards that you offer and then additionally have an alternate credit card option that you accept. Paypal is another payment option that many people like to utilize at online casinos. At a casino they have set up all of the games to go in favor of the house. You can do the same principle by looking at the costs. If you invest in advertising and free samples, you can figure out how many customers this draws in. Then spend however much it is worth to invest in the samples and advertising based on how many customers are drawn in with the advertising you put out there.